What form will the cloud take in business organisations? Is the future a hybrid cloud one? Small companies are embracing the cloud. In fact it is now an integral part of nearly every organisation's business. But what form will the cloud take in the organisation? According to research firm Gartner, nearly half of enterprise will have deployed a hybrid cloud environment by the end of 2017. Another survey carried out by cloud provider Rackspace suggested that IT managers want a mix of public and private cloud in their organisations. It found that 60% of enterprises surveyed see the hybrid cloud model as the way forward. These predictions acknowledge that not all IT infrastructures will go into the public cloud. The future for organisations will see a mix of workloads, with applications and data strung across public and private clouds as well as traditional on-premise infrastructure. For the small business, working out what applications and workloads should go where can be a difficult task. Adding Software-, Platform- and Infrastructure-as-a-Service sows further confusion. According to Joe Gardiner, Head of Product at CatN, hybrid cloud is increasingly being seen as the best way to host large applications in the cloud. "The business critical applications with security and performance demands can be hosted on a private cloud. This environment can then be integrated with the less critical services such as web servers, which are at home on a public cloud," he says. "Combining these two cloud models leverages cost efficiencies and also builds resilience into a solution. 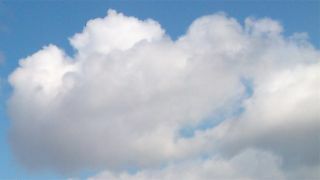 I would highly recommend engaging with a specialist cloud provider to build an effective hybrid cloud," adds Gardiner. Nigel Beighton, International vice president of Technology at Rackspace, says that organisations are progressively moving to the cloud and this is taking a hybrid approach, as few companies need to move the entire data centre to the cloud. "It's important to note that some apps or workloads, better suited to dedicated hardware, may indeed never be migrated to the cloud – or at least not entirely. The hybrid cloud approach allows this tailoring of app to platform, to get the best out of each app," says Beighton. Nigel Stephenson, head of EMEA Cloud and Managed Service Solutions at Juniper Networks, believes that hybrid cloud will likely be the choice of both small and large enterprises. "For reasons of security, compliance and control, there will remain a desire to manage at least a subset of applications and data within the enterprise and outsource less critical or sensitive applications and data to public clouds," he says. "Especially where a public cloud service can offer temporary increases in capacity and release private computing power for enterprise applications." But although the model may be hybrid, it is likely that an increasing number of deployments will still be outsourced to cloud providers as a hosted private cloud. "There is a great deal of flexibility around the implementation of cloud services," adds Stephenson. Another driver of the adoption of hybrid cloud could be compliance with financial or governmental requirements that will require the need for private cloud infrastructure within some organisations. However, given the overhead in terms of cost and time that private cloud infrastructure requires, many companies will seek to move to at least a hybrid cloud model in the near term, where it's possible to do so. But SMEs looking to display the green credential may be able to use hybrid clouds to become more eco-friendly, according to Adam Weismuller, director of cloud solutions, Internap. "A hybrid solution of public cloud and dedicated servers would be able to be scaled elastically with the end-user demand on an application and ensure that both power consumption and cost is directly aligned with the resources in use at any given time," says Weismuller. "The baseline demand could be handled by the dedicated bare metal servers and the fluctuating demand can be addressed by temporary cloud instances only as needed, which reduces unnecessary power consumption and cooling." However Claire Galbois-Alcaix, senior marketing manager EMEA at Mozy, warns against what she called "building a frankencloud". "Hybrid cloud solutions make a lot of sense but you'll often get better performance from the public cloud element if you buy a solution from a specialist provider than you will buying space in the public cloud and building your own solution to get your data up there," she says. As every SME begins to use the cloud, regardless of whether they use it in a small way, or go all out for cloud, they are starting out on a hybrid cloud approach. For many IT managers the cloud means there is an extra set of skills they need to master. As the cloud becomes progressively mainstream, and adoption barriers are broken down, it will be interesting to see where the balance between public and private clouds and on-premise infrastructure eventually rest.